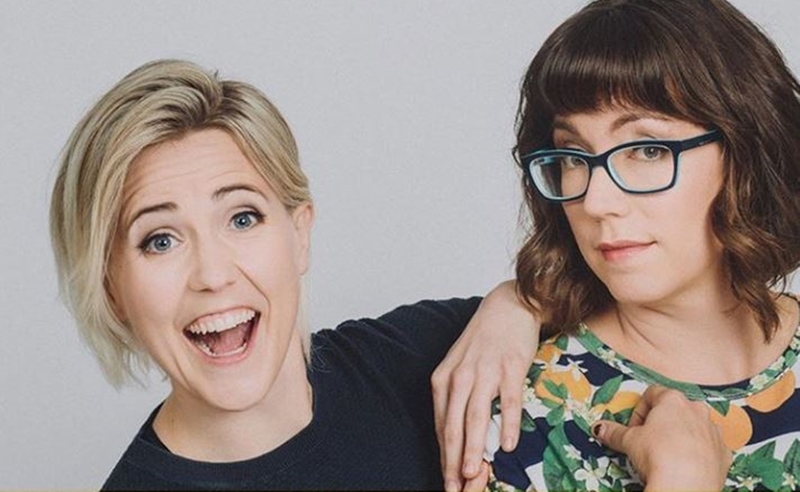 YouTube star Hannah Hart, who rose to fame on the strength of her drunken cooking series, is making her way onto Patreon to finance Hannahlyze This — a podcast co-hosted with her best friend Hannah Gelb in which the two try out self-help fads each week and share their feedback with listeners. The duo has turned to Patreon to remain ad-free for their “earbuds,” Hart says — which is what the creative partners have nicknamed their listeners. The Patreon page arrives in conjunction with the second season of Hannahlyze This — which had been on something of a hiatus since January. The duo returned for a second season of sorts with an episode recorded at podcast convention PodCon. The Hannahs have amassed 167 paying Patrons to date. Reward tiers are inspired by various forms of self-help methodology. Those who pledge $5 per month will receive behind-the-scenes content; those who pledge $15 will receive a bonus live stream each month; those who pledge $30 will be able to contribute to the show through a special channel on chat platform Discord; $50 Patrons will receive an original doodle annually; $100 Patrons will receive a handwritten version of one of their favorite quotes composed by the Hannahs; and $500 Patrons will receive a personalized fan-fic. Interested parties can pledge their support here, and catch new episodes of Hannahlyze This right here. Hart counts 5 million followers across social media, and has also forayed into writing (with two New York Times Bestselling books) and hosting (Food Network’s I Hart Food). In addition to producing and acting, she is also renowned for extensive charity work within the LGBTQ+ community.